Congratulations to our latest Chronic Disease Self-Management Program graduates! On April 5, we celebrated the conclusion of a Chronic Disease Self-Management Program (CDSMP) class with Smiley’s Family Medicine Clinic staff and the 10 class participants. WellShare International Community Health Workers Saida Mohamed and Fatima Mohamud co-facilitated this workshop in collaboration with Smiley’s clinic. 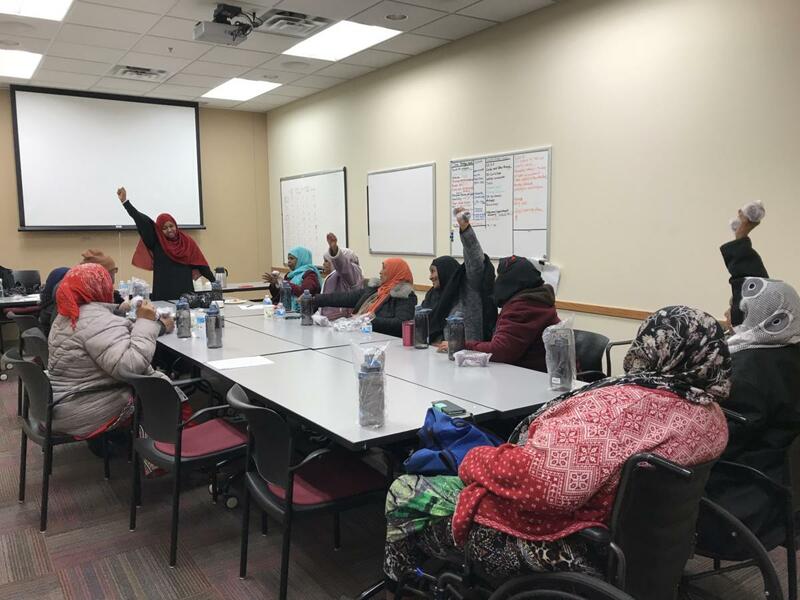 Beginning March 1, the class participants, primarily Somali women, met every Thursday, from 10:00 am – 12:30 pm. In each session, the women developed self-confidence in their ability to control the symptoms of their chronic diseases. They learned how their health problems affect their lives and what they could do about their situations. While the sessions focused on addressing physical health, many attendees reported on how the sessions also improved their mental health because they didn’t feel so isolated or stressed. CDSMP is an evidence-based course designed by Stanford University. This six-week series taught by trained WellShare CHW’s was slightly adapted to accommodate translating the content from English to Somali language. Click on the slideshow below to view photos of the workshop and read what participants had to say!